Nakin Skincare, that’s what we’re talking about today. NOT naked skincare because that would be something different (although if you have something to confess on that score, meet me in the comments box below). 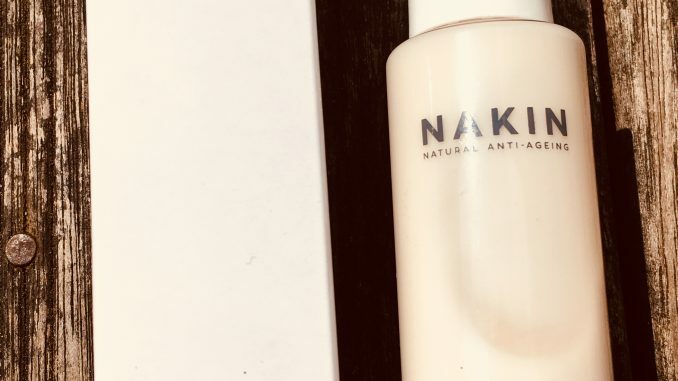 Nominated for Best New British Brand at the Pure Beauty Awards, Nakin is an innovative UK brand which focuses on natural ingredients backed up by scientific research. 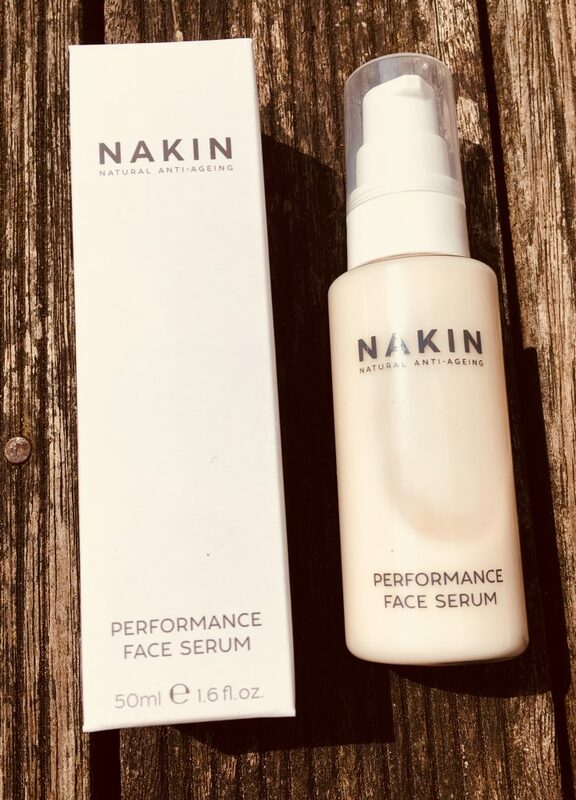 I’ve been trying out the Nakin Performance Face Serum. This is a very moisturising serum for older skin – I’ve been using it on top of the exfoliating Flower Peel Serum I showed you recently. It’s vegetarian & cruelty free, and full of interesting plant-based ingredients to nourish the skin. Leading the way is the classic hydrator Hyaluronic Acid, then we have Pomegranate to improve skin tone. There’s also Green Tea (full of anti-oxidants), Rosemary Leaf extract and Hibiscus in there. You’ll get a little mild exfoliation from the fruit acids naturally occurring in the hibiscus. It’s great for fine lines and is apparently known as a “natural Botox” though I’m taking that claim with a pinch of salt. All in all it’s a very hard-working serum full of good stuff for your skin. Despite its richness it feels quite lightweight, almost like a gel. And it’s very, very moisturising, so much so that I didn’t find I needed an extra facial moisturiser on top. A good choice for dry, dehydrated or older skin in need of some TLC. If you sign up to Nakin’s mailing list you can get 15% off your order.